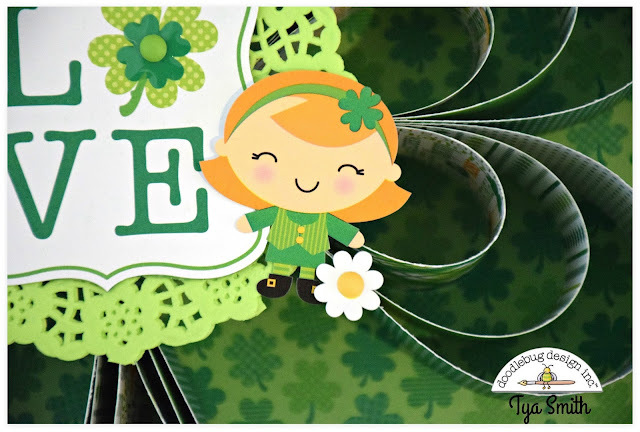 Hi there Doodlebug fans -it's Tya here and it is my turn to share with you my Pot o' Gold project. 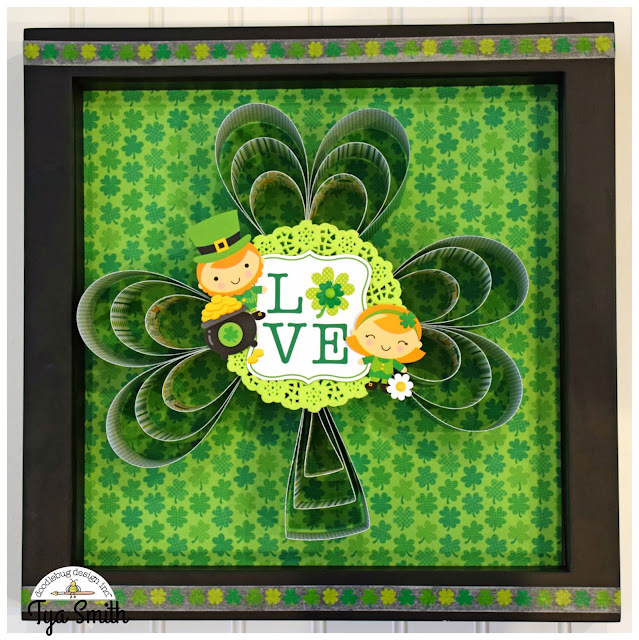 I decided to add a little "lucky" decor to my walls for St. Patrick's Day with this fun shadow box. I am using the 12x12 Black Shadow Box for my project. For my paper strips I used (7) 2x12 inch Grasshopper Swiss Dot Petite Print, (7) 2x10 Lucky Stripes papers and (7) 8x12 Good Luck papers. After I got all the paper strips glued together I added a couple of limeade doilies to the front of the shamrock. I cut the "Love" sentiment from one of the squares on the 4x4 square pattern paper sheets. I pop dotted the sentiment up for some added dimension. I placed a sheet of Clover Patch pattern paper in the background of my shadow box. I also added a strip of Lots of Luck Washi Tape to the top and bottom of my shadow box. 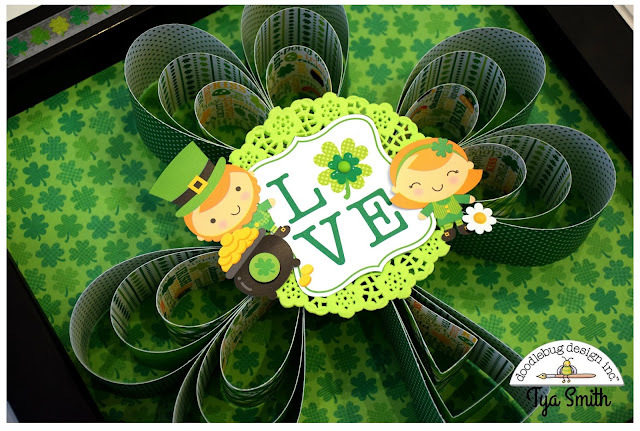 I then hot glued the entire shamrock to the background paper. 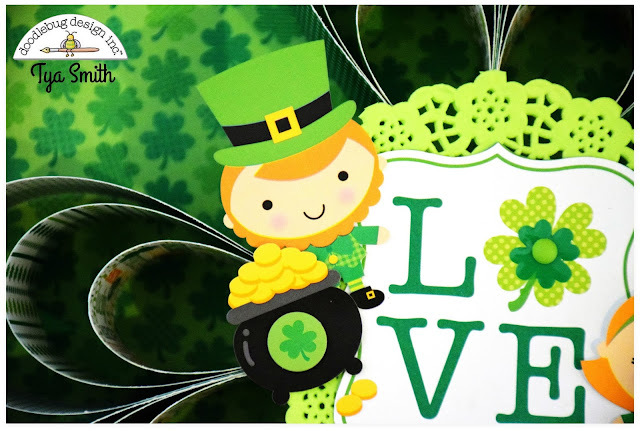 To decorate the shamrock, I added a couple of cute Leprechaun girl and boy stickers from the Icon Sticker sheet as well as a cute little flower, round shamrock sticker and the pot of gold and a few gold coins. I also added a shamrock Sprinkles shape and a couple of matte Bright Sprinkles to spice it up a bit. Aren't the little leprechauns so cute? I loved making this project! It went together so fast and it makes me so happy to see the cute smiling faces of the Leprechaun boy and girl! Hopefully I have inspired you to make one of these fun shadow boxes for your own St. Patty's Day decor - thanks so much for stopping by! Happy crafting! 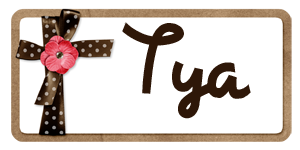 Love this Tya! Great idea!! How fun! I love how this turned out Tya!